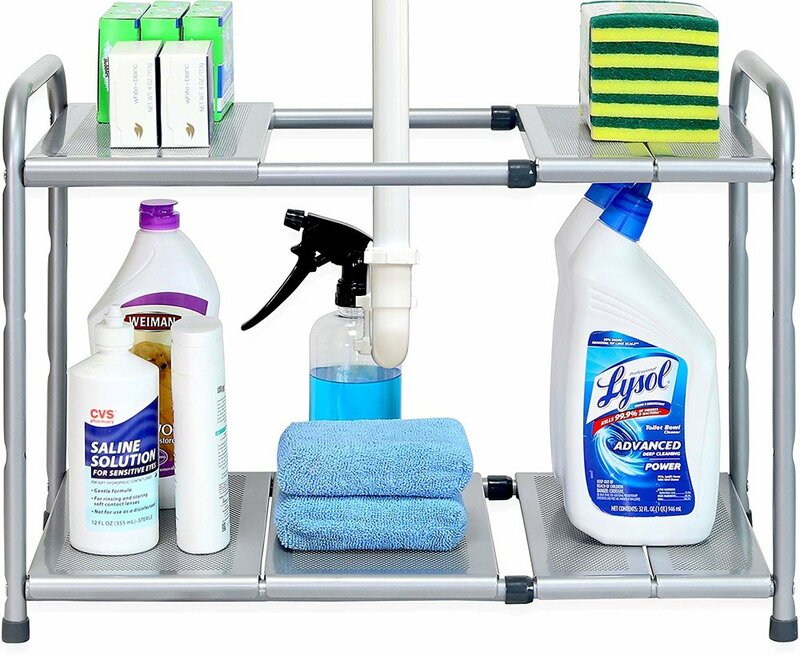 Did you know that the area under your sink can be a storage mecca if you treat it right? It’s got height! Width! Depth! All of the ingredients for space maximization. Heck, some even list this space as a second bedroom in NYC and rent it out to tourists. But like any chunk of land, it takes some tricks to really take full advantage, while still keeping things tidy. Here are some of my fave products that turn this small zone into a storage facility. Remember, since I *hate waste,* I only suggest you buy things that will go a long way. So trust me on these and whip out that measuring tape so you can see what will fit around those dreaded pipes and work best for your home. Drawers are an ideal way to use vertical height, create easy access for your stuff and categorize! 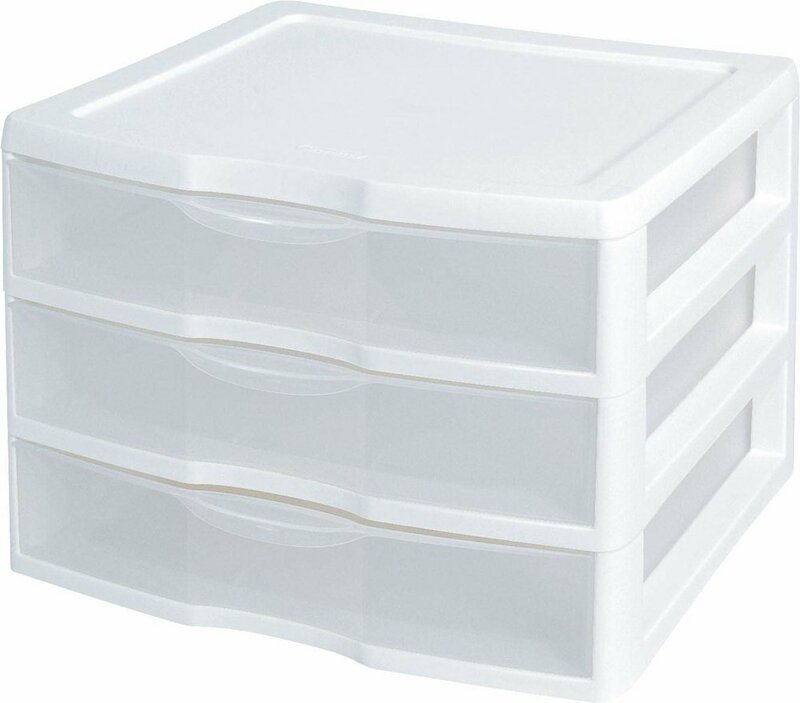 Designate one drawer for dental products, one for makeup, and one for travel products (or whatever three categories you choose!). Slap a label on the outside so you know what’s what and BAM! Drawers with an open top serve a different purpose than those without. 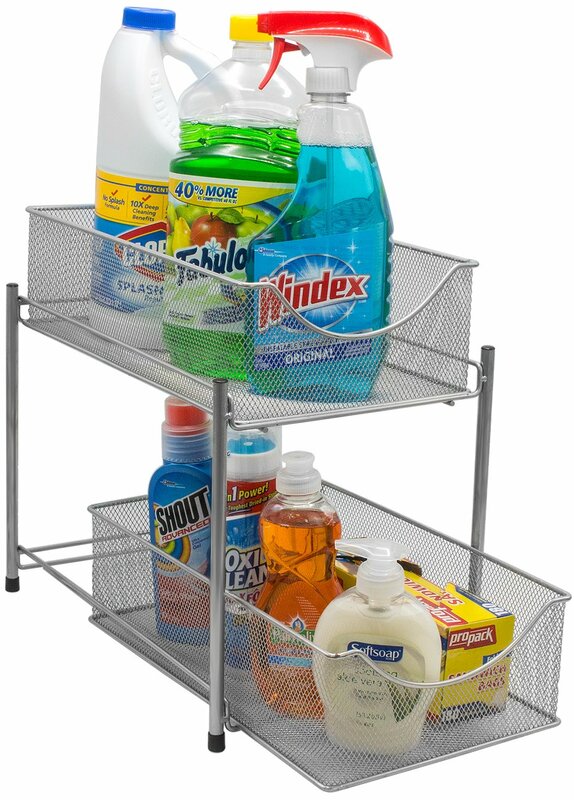 If you’re storing tall product bottles or cleaning products, opt for a lidless top so they can fit! 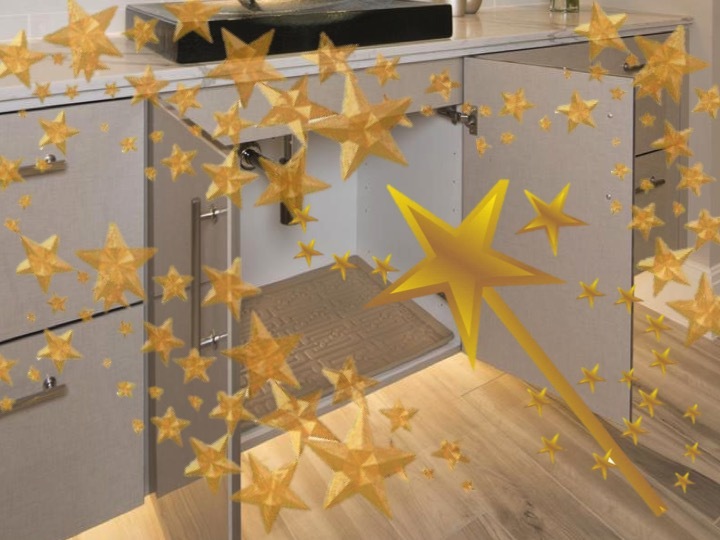 Use the bottom drawer for smaller things and enjoy the ease of pulling the drawer in and out. 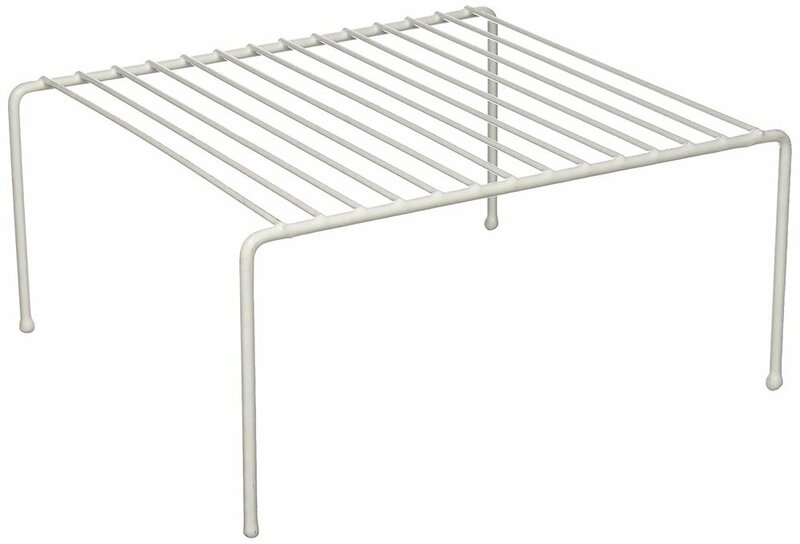 If those pipes are really bogging you down, an expandable shelf is the solution! This guy adjusts to fit around all of the junk under your sink and still provide lots of room to store your collection of products. Winning! Bins are always great for containing like-items and creating artificial drawers (you can just slide them right out!). 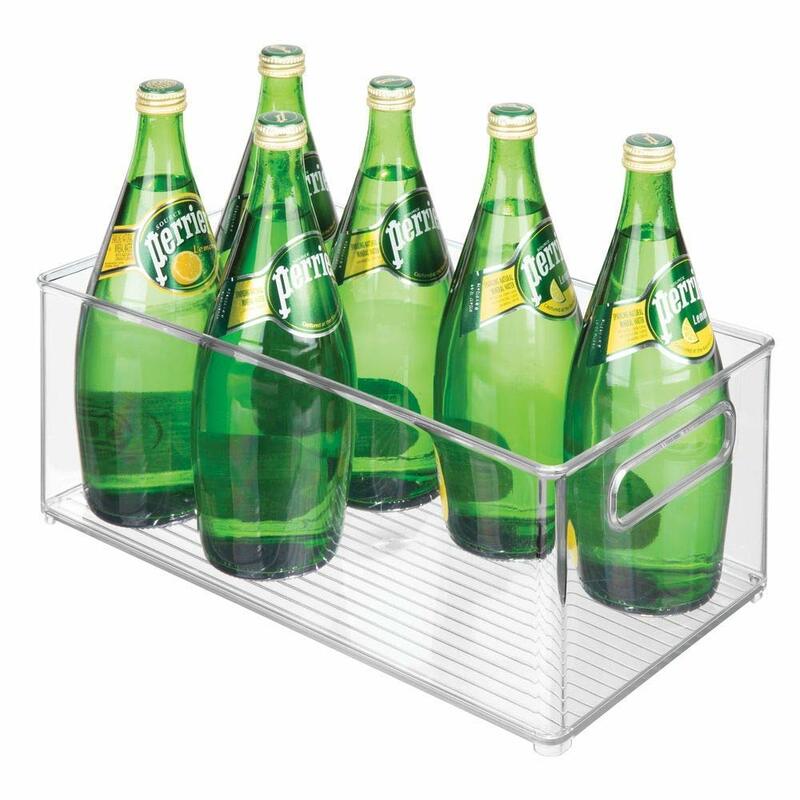 So if you’ve got lots of loose bottles, products, or bottles of Perrier under your sink, contain them for easy access! Sometimes you need to take advantage of just a wee bit of vertical space and a wire shelf is perfect for just that. Tall things on the top, short things on the bottom and you’ve magically doubled your storage on a budget!